Do you love Big Macs so much that you would like to walk around wearing a super-ugly, extremely gaudy $12,500 ring announcing your devotion? Yep, us neither. 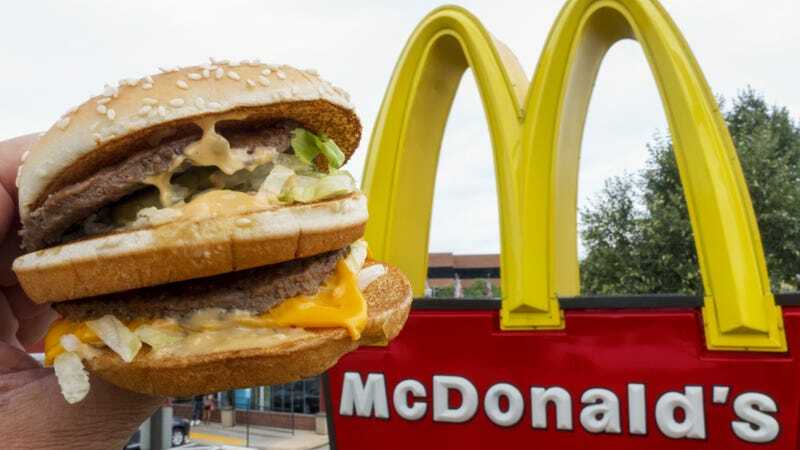 So we will not be enrolling in this new McDonald’s contest, in which the most creative and romantic vows proclaiming love for the Big Mac and its related sandwiches could win this one-of-a-kind (we hope) ring. We’re not sure how this works: If you win the ring, can you pawn it to someone then for that five-figure sum? If so, who would that person be? Someone who really loves Big Macs but lacks your poetic genius? Otherwise, you’re just walking around with a shiny eyesore that goes with nothing, headed eventually for a garage sale near you.